Ultra-cotton Expand-A-Grip. 100% premium cotton top and skirt with 100% polyester bottom and polyester fill. Guaranteed to fit all mattresses. 10 year warranty. 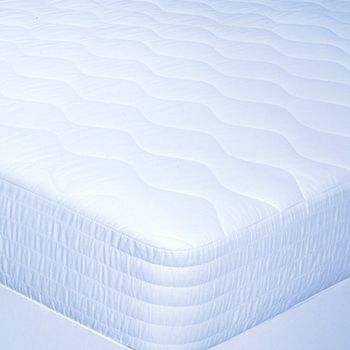 Luxurious overfilled premium mattress pad. For the person who demands a quality product. Ideal for all mattresses from thin to extra deep.